I’m looking forward to delivering the Preparing for Parenting classes throughout 2016 – class dates are now being published for the start of the year. Throughout all the topics we will be reflecting on the expectations and realities of parenting. Why am I doing this? What is the purpose of this? What I believe strongly is that we often don’t understand what caring for a new baby is like because we do not see it. We are not embedded in close knit communities – exposed to babies, new mums and dads and witnessing the every day hurdles a new baby brings. We are expected often to parent on our own. New parents hide what the reality is because they don’t want to seem like the odd person that’s struggling – when the reality is that we all struggle at times. By being honest, by taking the opportunity to give ourselves space to reflect and understand what the reality is we can embrace new parenthood, embrace the chaos and enjoy the ‘normalness’ of any new baby. This course will explore the reality of recovering from birth, how the birth can affect us (including our babies and partners), the realities of feeding, sleeping and caring for a newborn, the reality of how we will feel when our baby cries and techniques and tools to help us calm our baby. It will also look at how our relationships may evolve. This isn’t a class to tell you how to parent and give you a baby manual – this is a class to explain to you what it’s like so you can find your own path and start trusting yourself to parent your baby because you will develop a clear understanding of newborn behaviour and of birth. 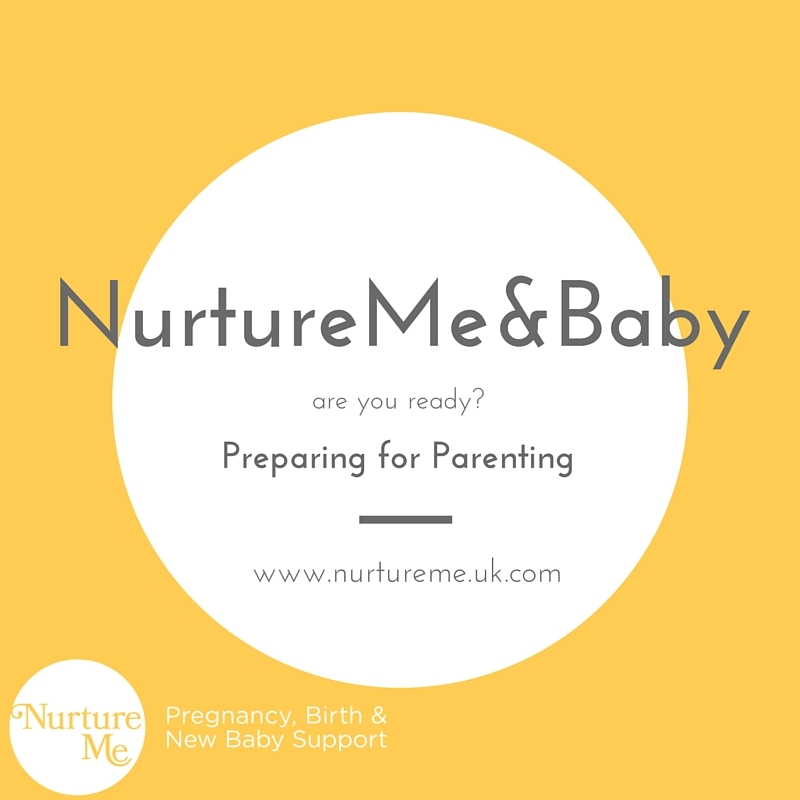 If you’d like a booking form – email tricia@nurtureme.uk.com and don’t forget to sign up for my FREE download – 52 Ways to Prepare for Parenting.